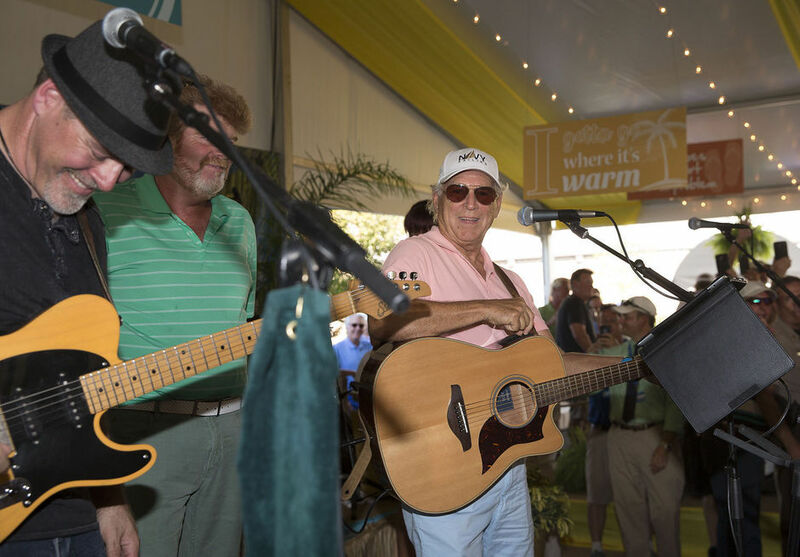 Singer/songwriter and best-selling author Jimmy Buffett will perform at Chris Evert’s annual Gala on Saturday, November 19, as part of the 27th annual Chris Evert/Raymond James Pro-Celebrity weekend. The three-day event (Nov. 18-20) serves as a fundraiser for Chris Evert Charities, with proceeds going to combat drug abuse and child neglect in Florida. Evert has hosted the event since retiring from the professional game in 1989, and her charity weekends have raised more than $22.5 million to meet needs in the South Florida community. 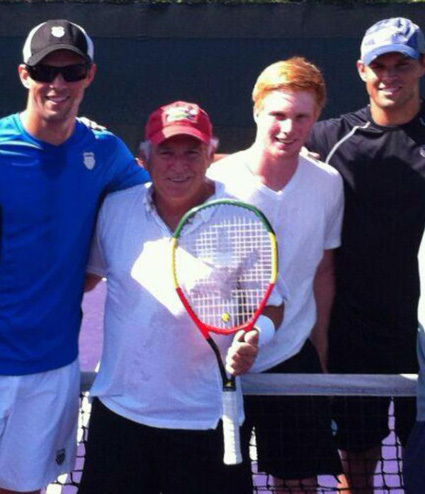 The elegant evening Gala will be held at the Boca Resort & Club and includes a cocktail hour, silent and live auctions and an exquisite dinner that precedes an inspiring message by Evert, the 18-time Grand Slam champion, followed by an acoustic performance by legendary singer/songwriter Jimmy Buffett. Buffett will be accompanied by eight-time Country Music Association (CMA) Musician of the Year Mac McAnally. Tickets are $750 per person and can be secured online at chrisevert.org. The cocktail hour begins at 6:00 pm. St. Louis Cardinals fans can waste away at Busch Stadium this weekend as the baseball club celebrates Margaritaville night at the ballpark. St. Louis may be land-locked, but we’ll all be transported to Margaritaville on Friday, September 9th when the Cardinals take on the Brewers! 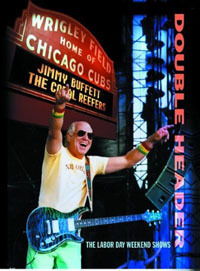 Parrotheads, beach lovers, and baseball fans can enjoy Jimmy Buffett tunes at a FINtastic pre-game concert by The Boat Drunks. 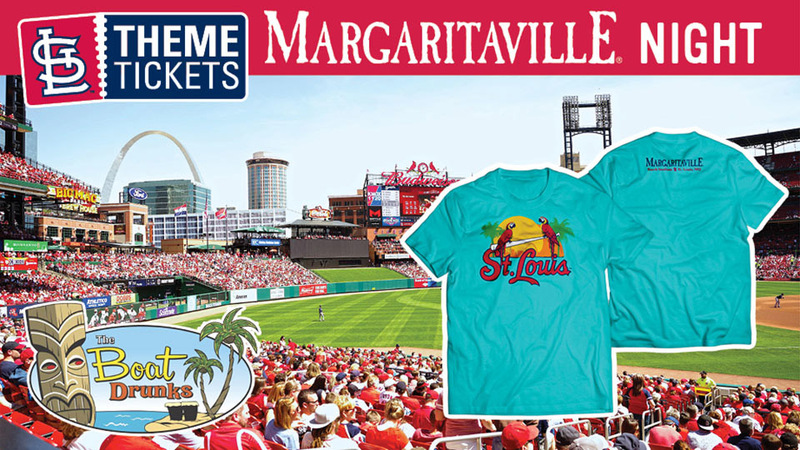 With the purchase of a special Theme Ticket, you will receive a Margaritaville-inspired Cardinals T-shirt. Change your latitude and float on down to Busch Stadium for Margaritaville Night. After all, it’s 5 o’clock somewhere! A portion of each ticket sold will be donated to Jimmy Buffett’s charity, Singing for Change. The crowd gathered a little before 4 p.m. in the hot, open-air Margaritaville bar set up in front of Sedgefield Country Club’s stately Tudor clubhouse for the Wyndham Championship. A few hundred people listened and sang along with “20 Ride,” a Zac Brown tribute band from Charlotte. But they were waiting for more. Word was out: Jimmy Buffett would visit this temporary bar based on his chain of 24 permanent Margaritavilles in the U.S., Mexico and Carribean. It was a whirlwind trip, a pit-stop in the middle of a longer trip, and Buffett was in Greensboro for less than two hours. At last Buffett came out of the clubhouse and into the heat, ambling toward the stage. It was 5 o’clock. Of course. Because it’s always 5 o’clock somewhere. Buffett was dressed for business: light blue shorts, a pink polo shirt, and battered blue Converse Chuck Taylor sneakers with no laces. His curly gray hair poked out from beneath a white Navy Sailing baseball cap, his eyes hidden behind gold-framed aviator sunglasses with dark brown lenses. 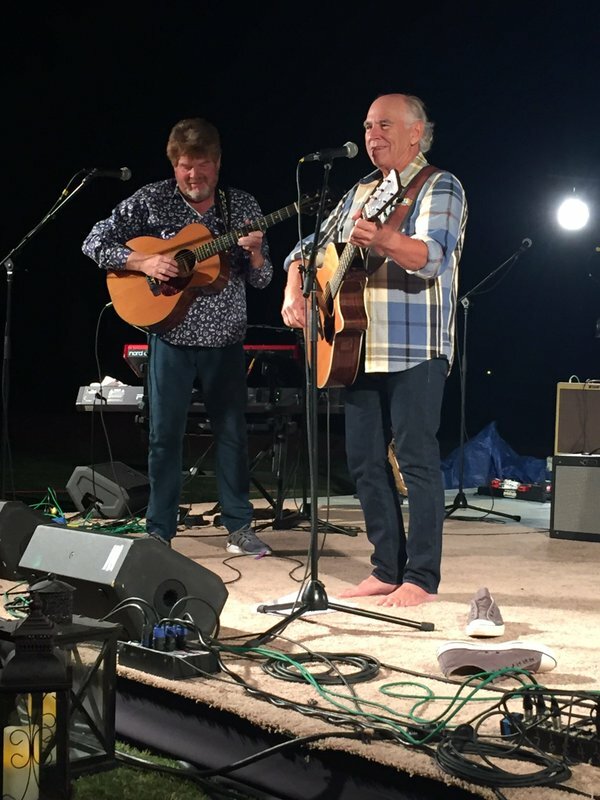 The Masters golf tournament started Thursday in Augusta, Georgia and Jimmy Buffett played at a private show on Thursday night. Watch more videos in @WyndhamGolfGuy’s Twitter timeline.